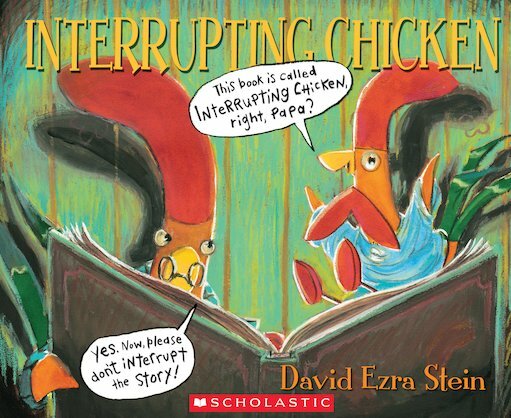 It’s time for the little red chicken’s bedtime story – and a reminder from Papa not to interrupt. But this little chicken can’t help herself! Whether it’s Hansel and Gretel or Little Red Riding Hood, she always butts into the stories, trying to save their hapless characters from doing daft and dangerous things! Now it’s the little red chicken’s turn to tell a story. But will her yawning papa make it to the end without his own kind of interruption? Full of glowing pictures and gentle humour, this delightful bedtime tale is ideal for spirited little chicks. Winner of a 2011 Caldecott Honor Award.